“Western Ghats of Uttara Kannada District, Karnataka State, the gateway of monsoon, covered 82% of the land in 1952 but it got reduced to only 20% by end of the year 1982 due to deforestation for the teak plantation. It resulted in soil erosion, climate change and jeopardized the entire natural ecosystem. Whatever lost could not be brought back but definitely further destruction could be stopped by protest and it led to Appiko Movement. Our efforts paid off with the change in forest policy in 1989! The mass movement ensured no more cutting of natural forest trees but it was not the conclusion instead was the start of new journey of restoration and learning. 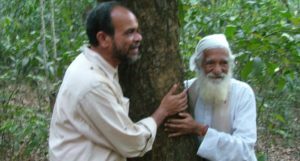 We had to replenish the forest with new transplantation and adopt rational use of forest along with self-supporting agricultural practices,” says Mr. Panduranga Hegde, founding activist and leader Appiko Movement and facilitator of forest renewal. While studying at Delhi School of Social work in 1979 Mr. Hegde happened to participate in then on-going Chipko Movement to protect the natural trees in Himalaya from falling and closely interacted with Mr. Sunderlal Bahuguna who led the movement. Both had a great influence on him and he decided to work for the nature and rural development instead of a cushy job. 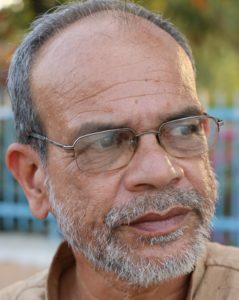 After working in Madhya Pradesh for three years, he returned home at Sirsi, Uttara Kannada district, Karnataka in 1983. “First and foremost I initiated a walkathon along Kaali River on the border of Goa and Karnataka to spread awareness on conserving the forest. At the same time people in my district wanted to replicate Chipko Movement in Karnataka to protest against cutting natural forest trees for mono-culture of teak plantation. People had suffered a lot because of cutting forest trees in Western Ghats of Karnataka and wanted Government to stop large-scale lumbering and other forms of environmental destruction thus we invited Bahugunaji and Appiko Movement was started on September 1983. 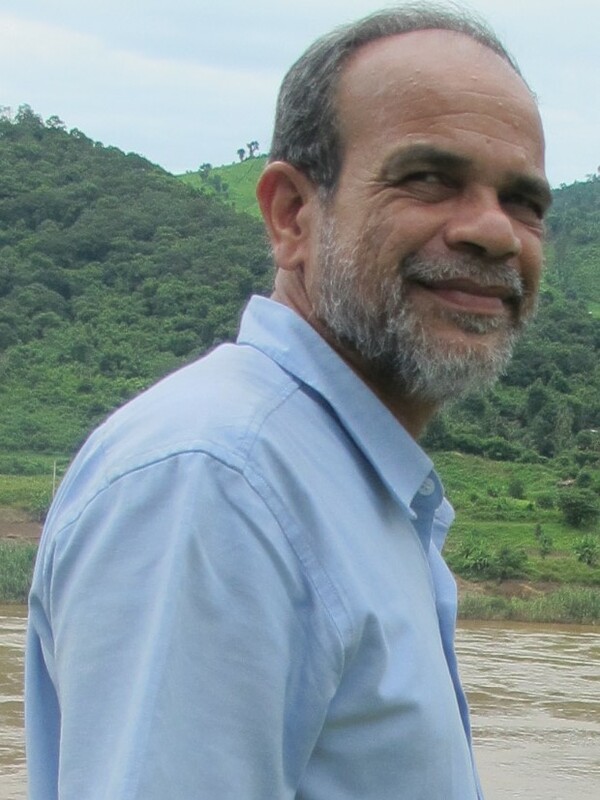 It spread like wide fire and with continuous struggle of five years, in 1989 we were able to change the forest policy to put a stop on falling natural indigenous forest trees for teak plantation!” he shares the drive to instigate Appiko Movement, a decentralized movement that protected the hills, water system, soil, and climate of the region. Mr. Hegde and his team are conducting bee keeping campaigns since 1991 across Uttara Kannada district and Honey Festival are the major attractions. Through these honey festivals for last 18 years they had been able to encourage 500+ young farmers to rear indigenous bee varieties in their farms. “Bees boost pollination in agriculture as well as are boon for the forest. Besides, farmers can earn an add-on income by selling honey. To promote apiculture on an average we conduct 4-6 honey festivals in a year. In this festival we explain the role of bees in the nature, honey production by the bees and extraction process. Visitors and participants taste the real honey. It is then followed by an interactive session. Finally if the farmers are willing to engage in bee keeping then we help them with the initial set up. Honey festivals have received great response as many farmers have started keeping the honey boxes in the natural forest as well as farmlands located in remote areas, very close to the forest. As a result green cover in improving gradually,” he states. Honey produced in the natural forest and its’ surrounding is absolutely pure and packed with medicinal properties therefore it is sold at premium prices. As the quantity produced is limited it is sold only by word of mouth reference. “Selling honey is a challenge! Usually we sell honey at Rs. 400/kg while the adulterated honey available in the market is available at less than Rs. 200/kg. So common man is not interested to buy our honey because they want cheap products! Nonetheless due to its medicinal properties we are able to sell honey to select buyers. We also have few finest honey variants like soapnut honey sold at 1500/kg,” shares Mr. Hegde. Next key for restoration is planting trees. “Appiko Movement began with protecting forest. It has two other vital aspects, reduce the pressure on the forest and regeneration. To lessen the dependence on forest we have to judiciously utilize natural resources therefore we developed and installed proficient bio-gas plants, fuel efficient chulas and solar plants. For regeneration, we transplant new saplings belonging to ‘Five F’ tree category. These ‘Five F’ includes fruit and nut, fertilizers, fodder, fiber, and fuel. All these trees serve specific purpose that is significant for re-establishing the ecosystem,” he elucidates. Fruit and nut trees serve as the primary source for the food requirement of the forever increasing human population, animals and birds. Farming land area cannot be increased so fruit and nut trees are important to fulfill hunger! There are numerous native trees that can produce the biomass for making the manure to improve soil fertility and fodder for animals. “Similarly we have fiber and fuel producing trees. We grow all these ‘Five F’ trees and it is largely beneficial. Government is spending millions of money as subsidy for chemicals, if it gives even 1% of that value for these trees then it shall create a wonderful green cover on this planet,” affirms Mr. Hegde. ‘Colocasia’. Tuber crop is the future crop because it requires less water and easily adopt to the climate change,” he highlights. Apart from continuing the present operations in time to come Mr. Hegde plans to set-up learning center and low carbon communities to develop techniques for minimum use of natural resources and zero carbon emission respectively.